On behalf of the CMARC Board of Directors, we are excited to kick off an excellent year in the Mobility industry together! I am so honored and proud to lead such an exceptional organization into what will be a year of great success. We have many initiatives and goals for 2019 and look forward to accomplishing them side by side with our membership. This year we plan on incorporating your feedback by providing more opportunities to network together, and we’ll offer a Social Event in addition to the Educational Forum each quarter. Look out for those registration notifications! We’ll continue our typical practice of distributing a mid-year survey in order to receive your valuable feedback. You’ll soon notice that the website will undergo enhancements, we’re very excited about this change. As an organization in 2019 we want to continue our philanthropic initiatives through our partnership with Friendship Trays. In addition to working with this local benevolent organization we’d like to announce our new partnership with Move for Hunger! We’ll be building out the Charitable Contribution Committee, if you’re interested in joining please reach out to me, Kati.Keith@sealedair.com. In order to accomplish the initiatives we’ve set forth for 2019 we need our membership more than ever. Please consider partnering with CMARC through sponsorship opportunities below! There is still an opportunity to be our featured Speaker Sponsor for March. A Platinum Plus Sponsorship is $1400 and provides recognition as the Program Sponsor at one meeting and includes 2 memberships. This is a great way to expose your company to potential clients and service partners. Your contributions enable us to provide engaging speakers as well as provide for fun networking opportunities. In addition to the Platinum Plus sponsorship level, there are several other varying levels of sponsorship, perfect for any size organization. You’ll find great value in this investment! Ali Bolick is our Sponsorship Chair and can answer your questions Ali.Bolick@compass-usa.com. If you are a first time interested member or if you have not already renewed your membership for 2019, you can do so by clicking here and logging into your profile. Please share this email with your corporate clients and other relocation professionals who might not be familiar with CMARC. Remember, first time corporate guests attend for free! Our Membership Co Chairs are Anne Priester and Kristen Leggett. They can answer specific questions and can be reached at Anne.priester@golrb.com and Kristen_Leggett@belk.com. It’s that time again! Are you considering taking the Certified Relocation Professional (CRP) exam in May? Let CMARC help you prepare! Our annual CRP Study Group will meet via conference call for 10 weeks starting February 20th, and we’re excited to auction off one set of study materials for FREE to a corporate member who has registered for the exam! There is no charge to participate for CMARC members and $100 for non-CMARC members to participate. For more information or to register, click here. 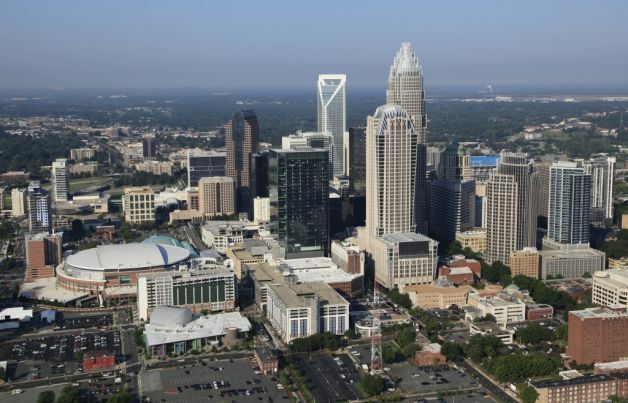 The March Educational forum will be held on March 7th at the TIAA Charlotte Headquarters located at 8500 Andrew Carnegie Blvd in Charlotte, NC 28262 from 11:30am-2:00pm and will focus on 2019 Mobility Updates! This session is intended to educate all CMARC members on current Global Mobility practices, Immigration and Tax hot topics. Presenters for this event are Peter-Korthy with AIRINC, David Livitt with GTN and Stephanie Lewin from Envoy. The March Winter Spectacular Social Event will be held the evening prior on March 6th from 6:00pm-8:00pm at Queen Park Social at 4125 Yancey Road, Charlotte, NC 28217. Admission is $90 for service providers and no charge for corporate attendees. There is a separate registration for the Social Event and the Educational Forum. Registration will be required for both the Educational Forum (March 7th) and the Social Event (March 6th), you can register by clicking here. We look forward to seeing you on March 6th and 7th! 20 Feb 2019 3:00 PM	• Dial in information will be provided after registration.